When choosing our first entry for the Kickstarter of the Week, I decided to go with the game I’m most excited about right now. 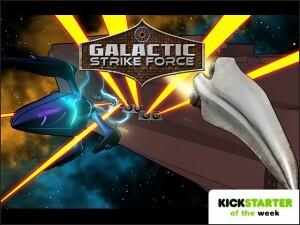 Galactic Strike Force is being published by Greater Than Games. 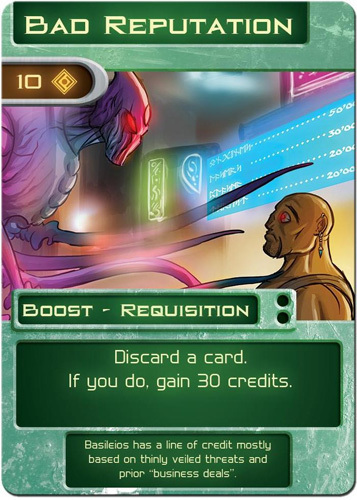 They are known for producing the amazing game: Sentinels of the Multiverse. If you don’t know about this game, be sure to read our full review. Travel Players may move their ship to another sector. Installation Players may install Techs from their hand to their ship. Battle Strike Force ships engage in battle with Opposition ships in their sector. Aftermath The round clean-up phase. The game can be won by the players in two ways: either by destroying the Opposition Flagship, or if at any point there are no Opposition ships in play. The Opposition forces can win the game by Grounding all of the Strike Forces ships, or by Overrunning all three sectors. So there you have it. While the game art and rules are still not finalized, this game seems pretty exciting. It combings some game elements I love: cooperative game, deck building and Sci Fi. That, combined with Greater Than Games reputation for putting out a high quality product convinced me to be a day 1 backer. And I wasn’t the only one. Galactic Strike Force is already at 117% of goal (at the time of this writing) and the project is cruising past its stretch goals. So head over to their Kickstarter page if you’d like to know more about this game.